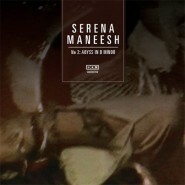 Nor­we­gian shoegaze band Ser­e­na-Maneesh is cer­tain­ly not the fastest group when it comes to record pro­duc­tion. Their first release arrived in 2002, but it took until 2005 to release an LP, with one oth­er EP punc­tu­at­ing those three years. Of course, that only serves to make their sec­ond LP, which was released on the 22nd, all the more impor­tant a release for the band. Unfor­tu­nate­ly, while Ser­e­na Maneesh had a num­ber of very strong tracks, espe­cial­ly for as polar­iz­ing a genre as shoegaze, Ser­e­na Maneesh 2: Abyss in B Minor is not as strong an album. As with Serena-Maneesh’s debut album, vocal duties on S-M 2 are shared by front­man Emil Niko­laisen and his sis­ter Elvi­ra. While this sib­ling duet pro­vides vari­a­tion to the album’s vocals and by con­nec­tion to the album as a whole, flaws in both singers’ per­for­mances con­tribute great­ly to the album’s lim­it­ed suc­cess. While vocals have always been, at least to some degree, a weak­ness for Ser­e­na-Maneesh, on S-M 2 it’s got­ten worse. Both voic­es have become even more breathy, and Emil’s voice falls all too often into an aim­less drone. Vocal medi­oc­rity cer­tain­ly isn’t improved by the music’s over­all lack of direc­tion - while shoegaze as a genre prides itself on the cre­ation of an under­cur­rent of sound, for that to real­ly work the music needs to be going some­where, rather than float­ing amongst itself in an amor­phous cloud. This is a self-per­pet­u­at­ing prob­lem - the vocals aren’t helped by this issue, and their lack of pur­pose cer­tain­ly doesn’t help to fix it. Instead, due to the vocal weak­ness­es as well as the lack of inter­est­ing lyrics (the lyrics on S-M 2 feel more like filler than any­thing else), the album is great­ly weak­ened. While noth­ing on Ser­e­na Maneesh 2: Abyss in B Minor even near­ly match­es “Drain Cos­met­ics” (from Ser­e­na Maneesh), there are still some pret­ty decent tracks on S-M 2. The best of the album are the more active, high­ly styl­ized tracks like the open­er and “Blow Yr Brains in the Mourn­ing Rain,” which devel­op a strong, almost catchy back­bone, con­tin­u­ous­ly built on top of that theme, and have few­er vocal inter­rup­tions than the rest of S-M 2. Addi­tion­al­ly, it must be said that Ser­e­na-Maneesh uses extreme­ly heavy elec­tron­ic effects to enor­mous suc­cess, both on the vocals and instru­men­tals, to enough of an extent that overdis­tor­tion was even used as an accept­able sub­sti­tute for repeat­ed strum­ming. At the end of S-M 2, it’s hard to feel like much was accom­plished. Not quite forty min­utes of musi­cal waf­fling after the album’s open­ing (and by far best) track, “Ayisha Abyss,” we’re left in much the same place as we were after Serena-Maneesh’s debut album - some­what dis­ap­point­ed while at the same time inter­est­ed by the bits of cre­ativ­i­ty that poke through the major­i­ty of the album. Ser­e­na Maneesh 2: Abyss in B Minor is nev­er ter­ri­ble and nev­er excel­lent. Most­ly, it’s thor­ough­ly mediocre, in some ways as dis­ap­point­ing as an awful album, and much less sat­is­fy­ing than a gen­uine­ly good one.